Edna Campbell has always been a winner but her biggest victory has been over breast cancer. 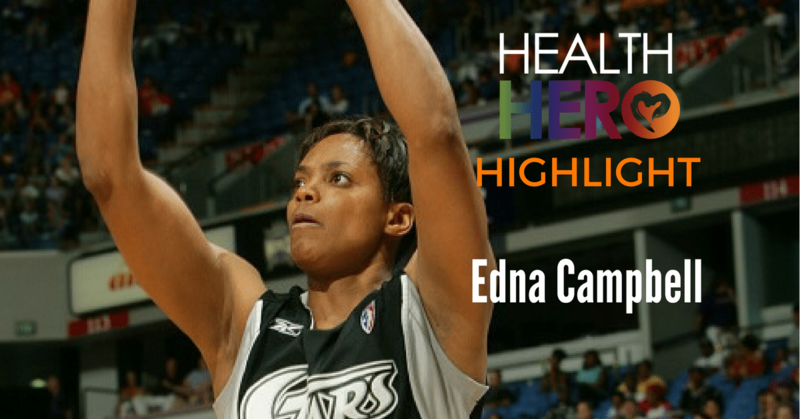 In 2002 as she was getting ready for the fourth season in the WNBA, Edna was diagnosed with breast cancer. She was forced to miss all but one game during the 2002 season. Edna returned the next season and continued to play despite the ongoing treatment she was receiving. In 2003, Edna was honored with the Kim Perrot Sportsmanship Award. She also became the WNBA’s national spokesperson for its anti-cancer effort with the Susan G. Komen Breast Cancer Foundation. When Campbell retired in 2005, she was nominated as the “most inspirational and one of the top four WNBA Decade Anniversary moments.” Campbell continues to inspire others with the story of her life and her battle and eventual victory over cancer. She is now a licensed nurse, an author of a book entitled “The Breast Cancer Recovery Manual”. Campbell has also founded and is the Program Director of “Breathe and Stretch” a health restoration program for breast cancer survivors.